Take a small bread loaf and slice it. It will make 13 slices out of a small loaf weighing 330gms. Wash & boil potatoes in a pressure cooker. Peel the boiled potatoes and grate them. Grating the boiled potatoes gives a smooth texture which will help while making balls. Remove the skin of onion and chop finely. 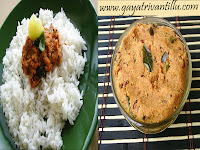 Wash and clean green chilies and ginger and make a paste in a mixer grinder.Wash & chop curry leaves. Heat a pan and add 3tsps oil to it. When oil is hot add mustard seeds and cumin seeds. Fry till the seeds splutter and add green chili ginger paste and curry leaves. Fry the seasoning well and add chopped onion and fry till translucent. Then add turmeric powder, dry mango powder, salt and grated boiled potatoes. Mix all well and add chopped coriander leaves. Mix again and transfer to a plate and cool. Spread a paper napkin on a plate to drain the fried bread balls. Heat a pan and add sufficient oil to deep fry the bread balls. While the oil is getting heated up, make balls from the prepared curry. Wet fingers with water and take a portion of potato curry and shape into ball. Similarly make balls of the remaining curry. Add water in a flat & deep plate. Remove the crusts of bread slices with a knife. Take a bread slice and dip for few seconds in the water to soften it. Take the water soaked bread slice in a palm and press with another palm and squeeze out all the water. On the softened bread slice place a potato ball in the centre and bring the edges of the bead slice together to close it. Shape into a smooth ball and keep it aside. Similarly make few more balls. Now the oil is hot enough to fry the bread balls. Drop carefully the bread balls into oil and leave them for a minute. Fry the balls on medium heat. Turn the balls gently with a ladle or a spoon and fry on medium heat. Turning the sides fry the bread balls on medium flame only till they are golden in color. When done place the fried balls on the paper napkin to soak the excess oil. Now make another set of balls and fry them in oil turning the sides, till they are golden in color. Similarly fry all the balls and place them on the paper napkin to soak excess oil. Serve them hot with tomato ketchup. Do not overcook the potatoes. Finely chop or grate the vegetables for a smooth texture. Otherwise the stuffing may protrude out of the prepared ball and that will come out while frying them in oil. After preparing the curry check the seasonings by tasting it. If required add salt and chili powder to taste. Here I have used home-made bread which is very soft. Do not soak the bread for long in water as it will become soggy and loses the shape. Dip for one or two seconds and take it on your palm and squeeze excess water by pressing with another palm. We need to soften the bread slice to shape it into a ball smoothly. Fry the balls on medium heat only. If fried on low heat the bread balls will soak excess oil. If fried on high heat the balls will get brown color fast but will not be fried evenly. Bread when fried in oil will soak lot of oil. So do not be tempted to eat more as it will trouble you later. It is advisable to drink at least two glasses of buttermilk to balance the system. Eat curd or drink buttermilk after eating any deep fried things. Serve the bread balls hot with tomato ketchup or any other sauce of your choice. ON SUNDAY I HAVE DONE BREAD BALLS , ITS VERY TASTY AND EASY. 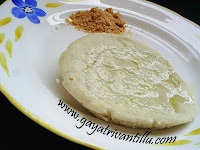 Meeru chese recipes and chesi chupinche vidhanam chala bagundi. I know ur site from long time, I have tried many recipes from ur site. Most of them came very good and very delicious. 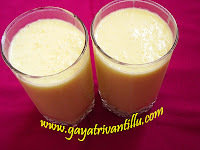 Meeru inka chala chala recipes post chesyalani nenu korukuntunnanu. Thanks for ur recipes. Bread balls!..Sounds good and looks yummy. Thanks for posting Gayatri garu. I love your site. So many wonderful videos. Thank you so much Gayatri Garu.